Italian Pizza Served by a French Waiter in an American Suburb? This is not a food blog. I feel like I have to keep writing that – am I telling you or myself? – because so many of my posts are about food and restaurants. Guess what? I like to eat. And I like to force my recommendations on unsuspecting people. So there you go: foodophile (me) + editing privileges (again, me) = lots of posts about food. Plus I spent three years eating my way through Italy, so I think I know everything. But this is not a food blog! Last night, I had dinner with my good friend Allyson (whose husband, Matthew Algeo, is a terrific writer. Check out his blog) at this little bistro in Arlington called Willow. I’d been there before with another friend for lunch, but this was my first dinner experience. It’s a cute little place, close to the Ballston Metro. You walk in, and you’re immediately hit with the “continental” vibe: warm, soft lighting, white tablecloths, waitstaff in white shirts +black pants+long white aprons (French accent optional). (The website actually says they are offering new interpretations of French and Northern Italian cooking). We lucked out and got an accented waiter. Willow is famous for its flatbreads – thin, thin, thin crust “pizzas” topped with amazing stuff – so of course, that’s what I ordered. The Margarita: garlic tomato sauce, parmesan, pecorino, fontina, basil and scallions topped with pepperoni slices. Heaven. Allyson ordered the equally yummy-looking Geovana: roasted garlic and herb pesto, sauteed shrimp, grilled zucchini, smoked mozzarella and lemon. As you can see, Allyson’s palate is a little more adventurous than mine! The portions are really large, which is great – guess what I’m having for dinner tonight? But here’s the most important part: cocktails. Who doesn’t love a good cocktail? I like a good whiskey sour, but they are so hard to find. It’s not easy finding that perfect balance of whiskey and mix. I’ve had some that were way too heavy on the whiskey, others that left me thinking the bartender forgot to add the alcohol. This one was pure perfection. If you can’t go for dinner, stop in for happy hour. Have a Cherry Whiskey Sour. Since I know you’re going to thank me later – you’re welcome. 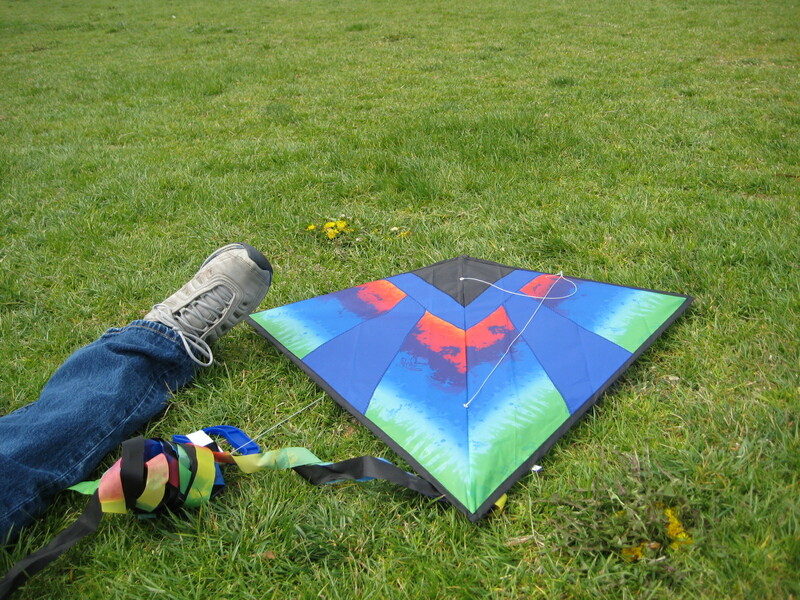 I had a lot of fun flying kites last weekend. I was really proud of myself for getting out there and being part of the action instead of just observing, so I decided to reward myself with a yummy cocktail or something. We were just a block or two from the Willard, and I’d had such a great experience there before, so that was my first stop. Unfortunately, there was no one in the Round Robin Bar and the Cafe du Parc was closed. I was disappointed….and really, really hungry. Kite-flying takes a lot out of a girl. Established in 1856, the Old Ebbitt Grill is an institution that has been frequented by American presidents, Congressmen, journalists, and celebrities. This is one of those “must do” places on your list of things to do in DC; I was glad to finally be able to do it. Now, I guess the place is pretty renowned for its oyster bar. Well, I don’t eat oysters. Don’t get me wrong; I like seafood – as long as it’s not chewy. Salmon? Yes. Lobster? Yes. Crabs? Yes. Shrimp? Sometimes. I’ve even eaten octopus (though it violates the chewy seafood rule). But I have to draw the line somewhere. Back to my regularly-scheduled post. I didn’t order oysters. Instead I had a nice pomegranate mojito (to celebrate the kites!) and a French Dip sandwich. I have to tell you I was kind of meh about the whole experience. The cocktail was nice, but not the best mojito I’d ever had. (It didn’t help that I’d just had a fantastic ginger mojito a week before at the W Hotel in San Diego). And the sandwich was nothing special. I left wondering what all the fuss is about. I mean, congrats OEG for sticking around for over 100 years and I guess it’s cool that political deals are struck in your dining room, but I wasn’t totally wowed. Do you have to order the oysters to be wowed? I haven’t lived in the Washington, DC area for several years, so I am thrilled to be back here long enough to enjoy all the wonderful things the city has to offer – including the National Cherry Blossom Festival. 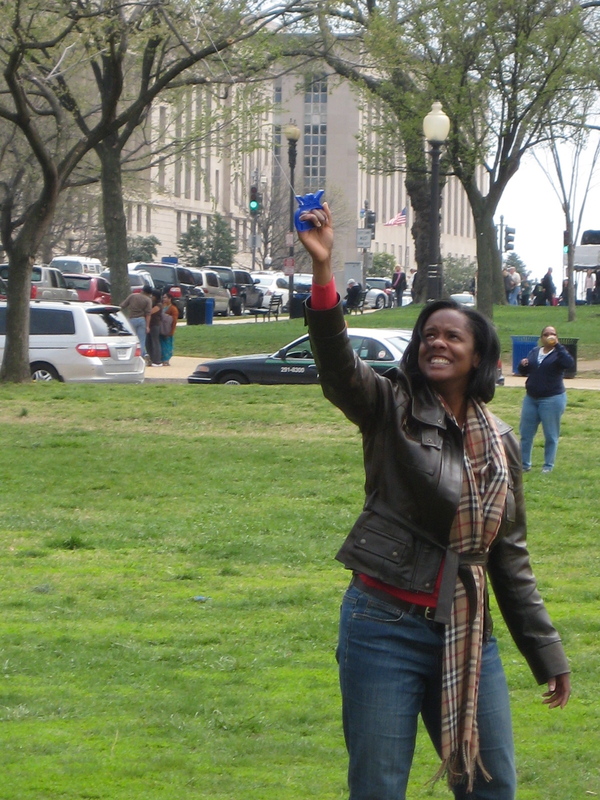 I missed the peak of the blooms because I was in San Diego, but that didn’t keep me from Metro-ing down to the National Mall today for the Blossom Kite Festival. I thought I’d spend half an hour or so watching the kites and taking photos. 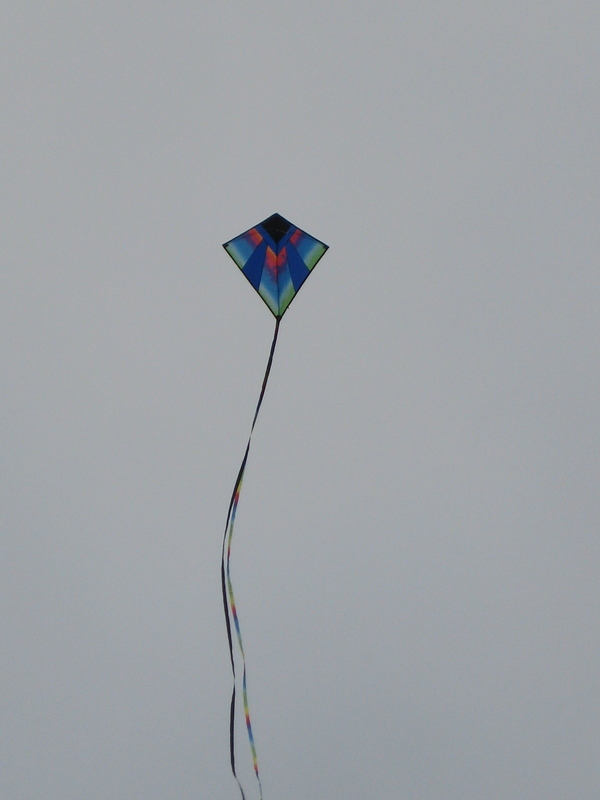 Instead, I ended up flying my own kite. What a blast! It took a few tries to get the hang of it – the kite dive-bombed a few times – but we finally found a location with sufficient wind and space to let the kite fly high. What a kick! I haven’t flown a kite since I was a kid. I have vague memories of my dad helping my sister and me fly kites in the open field behind our house in Kansas. I felt like a happy-go-lucky kid again today. And the closing song from “Mary Poppins” kept running through my head: “Let’s go fly a kite! Up to the highest height! Let’s go fly a kite and send it soaring…” Or something like that. If you missed it this year, I highly recommend you check out the Blossom Kite Festival next year. Your kite won’t be the only thing that’s lifted. I guarantee it. San Diego: It’s a Hell of a Town!!! I’ve been in San Diego since last week, and now that my conference is over, I’ve been able to see some of what the city has to offer. The weather hasn’t been perfect – overcast skies and cool weather – it has been nice enough for me to get out and about. In some ways, San Diego reminds me of Miami – except I absolutely HATE Miami. San Diego has a bit of Miami vibe without all of the Miami fake. I’ve only visited Miami a couple of times, but I always felt like everyone was trying too hard to impress with their designer clothes, processed hair, and manufactured bodies. But this blog isn’t about Miami. La Puerta. I believe I’ve already established the fact that I LOVE Mexican food. San Diego is just minutes away from Mexico; you’ve got to figure that the Mexican food here is amazing. You’d be right. La Puerta was not what I expected, but it was fantastic. A tiny little establishment in the Gaslamp district, La Puerta is not your average Mexican restaurant. It’s more like a dive bar that happens to serve a little food. The menu is limited and the prices are low, but don’t let that drive you away. If you are willing to wait for a table, you won’t be disappointed. I had a couple of margaritas and 3 chicken enchiladas rojas. Terrific. The food was filling, but not heavy. I walked away feeling satisfied, but not overstuffed. 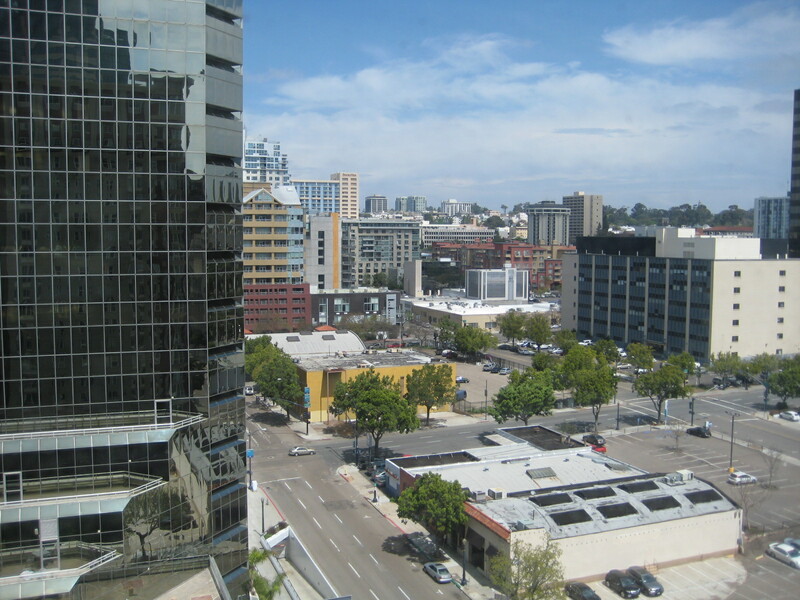 As an added benefit, you’re in the Gaslamp district – which is a fun neighborhood to walk around in. Lots of funky shops and ethnic restaurants (I went to a Thai restaurant in the district earlier in the week). It’s worth a visit. Extraordinary Desserts. One of my colleagues, a native of San Diego, recommended this place. It’s in Balboa Park, another historic district in the city. There’s truth in advertising here: you will find some truly extraordinary desserts. 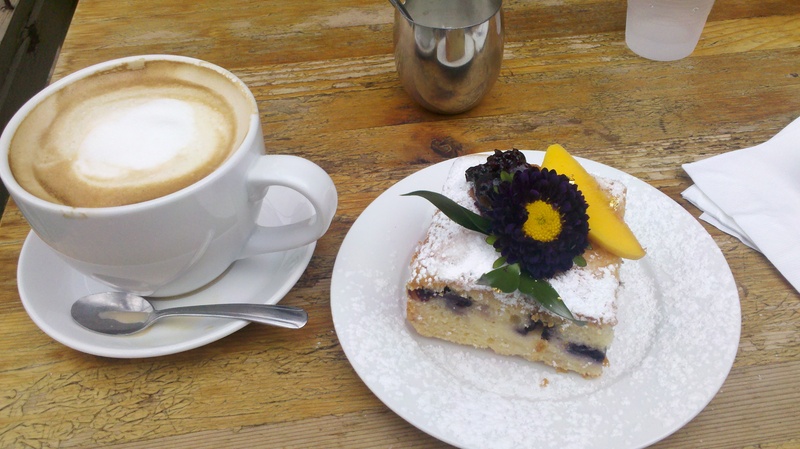 I stopped in on Saturday morning and had a caffe latte and a blueberry coffee cake/cheesecake. The single size coffee was HUGE, as was my serving of cake. Extremely generous servings. It was a nice way to start the day. Hash House A Go-Go. Another restaurant that came highly recommended. I love a big breakfast on Sunday morning, but I don’t usually like to fix one because I don’t want to have to clean up the mess. Solution? Breakfast out. 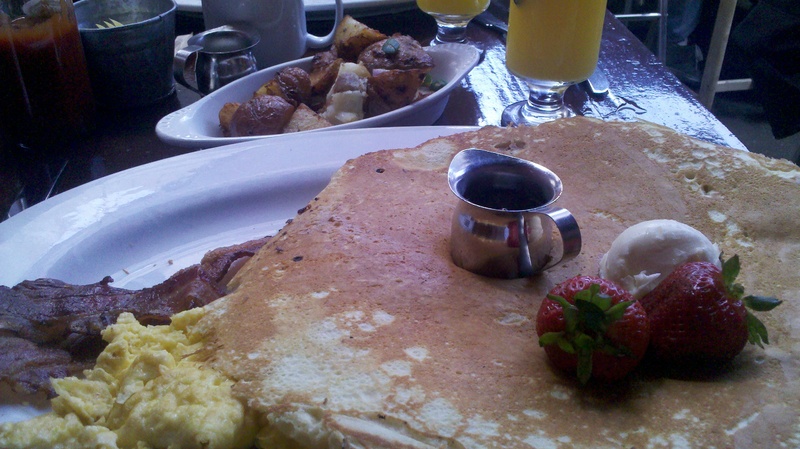 Hash House is famous for its large portions. Take a look at the size of this pancake! But its fame comes at a price: a long wait to get a table. My friend and I waited for about 40 minutes before we were seated. Fortunately, neither of us were ravenous, so we took a walk around the neighborhood while we waited. Once we got a table, we ordered coffee and mimosas to start. I ordered the Tractor Driver breakfast which, in addition to the pancake, came with two eggs and two slices of bacon. I also ordered crispy potatoes to share with my friend. I had more than enough to eat. My friend and I agreed that the food was good, but not really worth the hype. I mean, I could have gotten the same food at IHOP. Smaller portions of course. Now, Hash House’s signature dish is its fried chicken and waffles; maybe if I’d ordered that I’d have a different opinion. We took a cab from the hotel to the restaurant, but after all we ate, we decided to walk back! 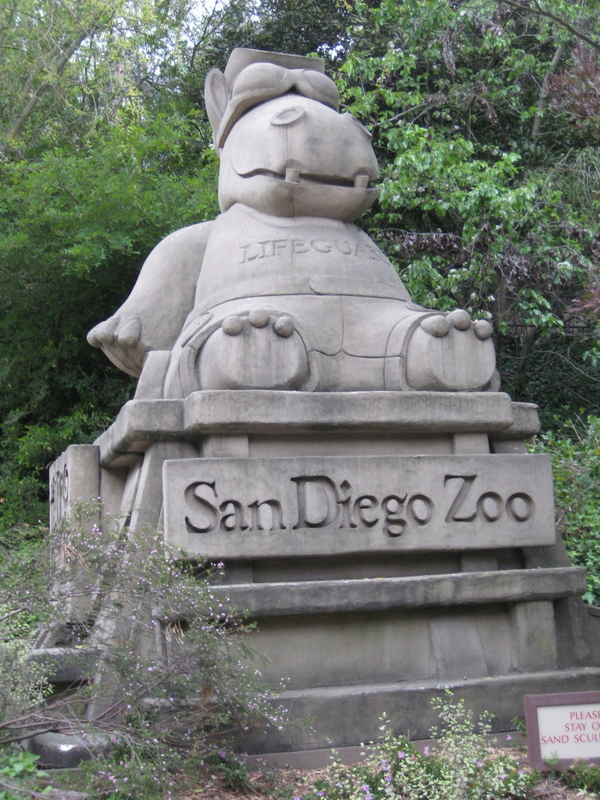 You can’t come to San Diego without visiting its famous zoo. It’s easy to see why it is famous: it’s clean and big with lots of attractions. Of course, it’ll cost you to see it: $40 for a one-day pass. We saw polar bears, elephants, zebras, giraffes, and peacocks. Unfortunately, we had to skip the pandas because the line was so long. We walked all over the place, and also took in an aerial view via “Skyfari.” My friend and I rode the cable cars from one end of the zoo to the other – and I actually kept my eyes open. San Diego: it’s a hell of a town!